On four separate occasions this year, President Trump has sought and received feedback from members and guests of his exclusive Palm Beach, Florida club, Mar-a-Lago, on important public policy issues and executive branch staffing decisions. These interactions demonstrate that patrons of Trump’s properties are afforded an extraordinary opportunity to influence the president’s decision making on issues of significant national importance. 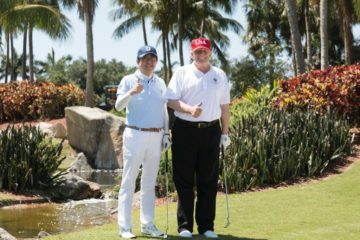 In February, in the wake of the Marjory Stoneman Douglas High School shooting, the Washington Post reported that President Trump “surveyed Mar-a-Lago Club members about whether he ought to champion gun control measures,” a position that he had considered initially, though backed down from in later days. The solicitation gave Mar-a-Lago members the chance to advise the president on an important policy matter during a period of serious national debate. Then, on March 3, shortly after news broke that Special Counsel Robert Mueller was expanding his investigation into White House Senior Advisor Jared Kushner, the president reportedly surveyed Mar-a-Lago members on their reactions to negative news coverage of Kushner. While Kushner’s downgraded security clearance may have reshaped his role in the White House, this example shows President Trump once again courting the insights of his customers on an important national security issue. A few weeks later, on March 24, the president consulted with Mar-a-Lago member and Marvel Entertainment Chairman Ike Perlmutter about issues at the Department of Veterans Affairs (VA). At the time, certain overhauls of the veteran care system were being considered and then-Secretary David Shulkin had come under scrutiny for his travel spending. Trump and Perlmutter reportedly discussed “at least one potential” replacement for Shulkin. 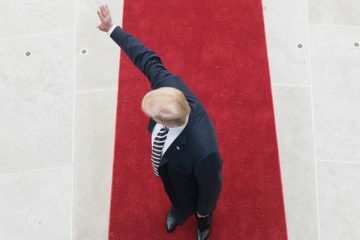 Days later, the president did, in fact, fire Shulkin, and nominated Rear Admiral Ronny L. Jackson to replace him.Finally, on March 29, the New York Times reported that President Trump “hears…complaints [about sales tax exemptions for online retailers] frequently during visits with his wealthy friends at his Mar-a-Lago estate in Florida,” relevant to his attacks on retail giant Amazon. Trump has repeatedly and publicly criticized Amazon for its status as a beneficiary of sales tax exemptions in addition to its other points of operation. In April, he ordered a review of postal service operations critical to the company and threatened to rein in its perceived operational abuses. And in May, the Washington Post revealed that the president has “personally pushed” the Postmaster General to double the rates that the U.S. Postal Service charges Amazon and similar retailers to ship their packages. These four examples are part of a broader trend that CREW has been tracking since President Trump took office. In Profiting From the Presidency and CREW’s accompanying conflict of interest timeline, CREW noted several additional instances where members of President Trump’s clubs were offered access or solicited for advice on administration policy during his first year in office. In February 2017, the president reportedly asked Mar-a-Lago member Richard LeFrak if he’d be interested in building a border wall with Mexico. The following month, he reportedly asked club member Christopher Ruddy “to make recommendations for appointments.” The president has also appointed or nominated five members of his clubs to administration positions. Taken together, these examples illustrate the extent to which the president’s private businesses serve as centers of power and influence, available only to the wealthy and well-connected. 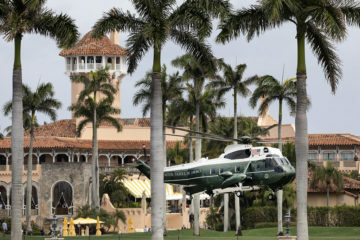 But as Mar-a-Lago comes to a close for the summer months, will patrons of the president’s Florida resort have to bide their time until fall to have their say on public policy? Or will they simply stop by Bedminster, New Jersey to visit the president at his “summer White House” instead? The Secret Service relies in part on Mar-a-Lago security staff to screen visitors to the country club that the President both owns and uses to conduct business. Increasingly, the Trump administration’s promotion of Trump businesses resembles an extensive marketing campaign, at tax-payers' expense.